That’s right. 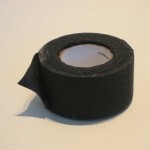 It turns out that hockey tape is better than electrical tape. 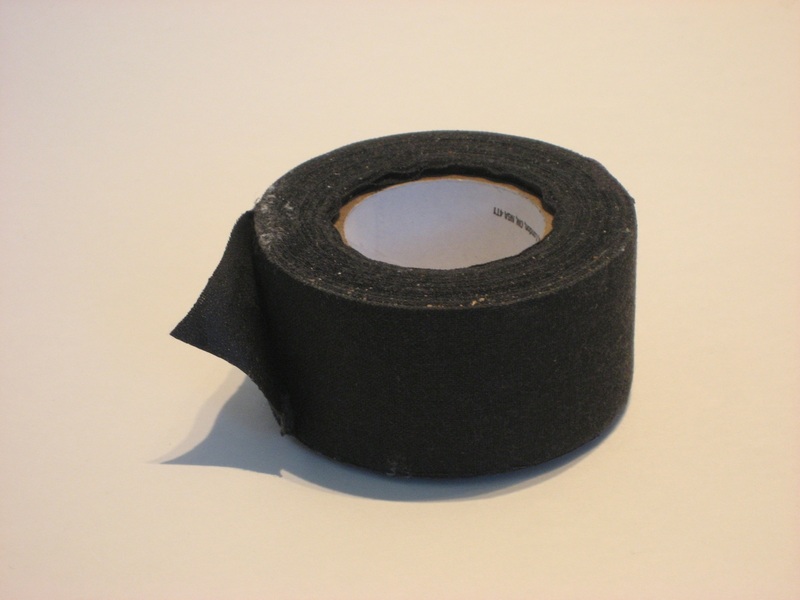 I can’t speak for the non conductive properties of hockey tape but it’s definitely stickier than electrical tape and just about as cheap. For non-Canadians, hockey tape is tape that is wrapped around a hockey stick on the blade where the puck makes contact and sometimes at the top end to aid in grip. I cut a small strip and wrapped it around the end where the wire is attached to the jack. So far it has been about six months and it’s holding up quite well and seems to stronger than the original. 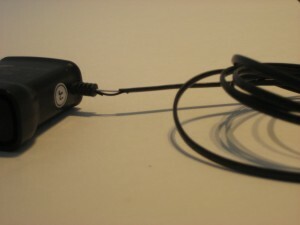 I may want add this preventively to cheap headphones on the other stress areas such where the earpiece connects to the wire and on the ‘Y’ joint. 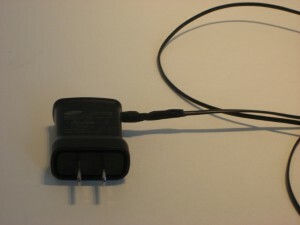 I have also applied hockey tape to the frayed cover on a cell phone charger.